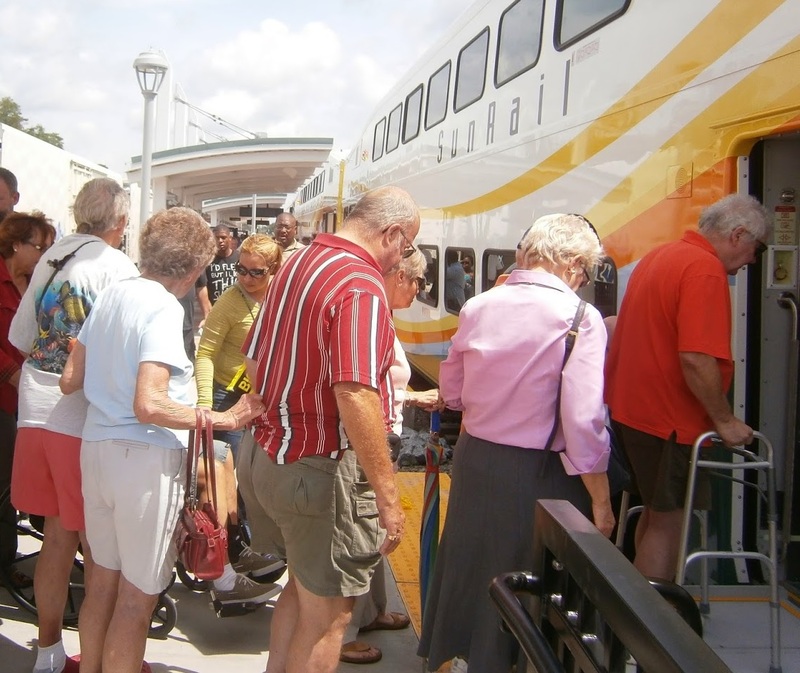 SunRail offers half off tickets for seniors, students and people with disabilities in an effort to increase ridership and make the train more accessible to the community. The Florida Department of Transportation announced today riders can qualify for a 50% discount on all fares with the purchase a Prepaid Value SunCard. The 50 percent discount for students, seniors and people with disabilities applies to all types of fare payments, including one-way and round-trip tickets, as well as weekly, monthly and annual passes. Riders will have to provide valid identification to a SunRail conductor to qualify for the discount. A prepaid SunCard is reusable and reloadable. Fares are deducted based on the distance traveled and funds can be added to the card as often as needed. According to FDOT, all SunRail customers receive a 10 percent bonus when loading funds onto the card. Officials have been trying to increase sales of SunCards while encouraging regular use of the trains. Earlier this month, SunRail officials were optimistic about increasing ridership even though September’s ridership dropped to around 3,200 total boardings a day, or 1,600 round-trip commuters. Today’s FDOT announcement signals officials are still trying to increase riders beyond the traditional business commuter and make SunRail more accessible and affordable to those who may want to become regular riders. One Response to "SunRail Offers Deeply Discounted Fares for Seniors, Students & People with Disabilities"